Unlike any other industry, the equine industry experiences its fair share of fraud, if not more than other business sectors. Generally, horse sales are understood to be “as is,” meaning it is the buyer’s duty to have the horse examined via pre-purchase exam by a veterinarian and that all sales are final. California has addressed such fraud in the equine industry by legislating multiple statutes. Civil Code §1709 states that if someone willfully deceives another with the intent to induce that person to alter their position which causes damage to that person, the person who acted with deceit is liable to the defrauded party for all damages they suffer. It’s important for sellers in California to understand that a recession of the sale may be demanded by the party that purchased the horse, even if an untrue statement was made by the seller negligently. Under equine law, sellers must also comply with the requirements of §19525 of the California Business and Professions Code which requires the use of a written bill of sale in connection with any sale, purchase or transfer of a horse. If you are a seller of horses in California, it is in your best interest to use a written contract with transparent disclosure of all relevant facts and material (health and competition history) related to the horse. an intentional misrepresentation of fact (a suggestion that a fact is true, when the fact is not true and the person making the statement does not believe it to be true). 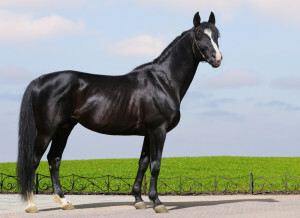 Example: “He’s totally sound,” when the seller knows for a fact that the horse has navicular disease. negligent misrepresentation (a claim that a fact is true when it is not true and the statement is made by a person who has no reasonable ground to believe the fact is true). Example: “He’s an awesome jumper” but has no idea whether or not the horse can jump well or not. concealment (the suppression of a fact by a person who is obligated to disclose the fact or when facts are given which mislead others). Example: The buyer knows for a fact the horse has Cushing’s disease but chooses not to disclose it. a false promise (a promise made without any intention of performing it). Example: “If you buy the horse, I’ll throw in his tack,” but the seller never intends to give you the tack. fraud in making a contract (committing fraud in the contract formation). These definitions are stated in Civil Code §§1710(1) -1710(4)) and 1572. The evidence required to prove fraud is by a preponderance of the evidence, not by clear and convincing evidence. A defrauded party to a contract may affirm the contract or rescind it. If they choose to rescind it, they must restore any benefit received from the defendant in exchange for return of consideration – paid by the defrauded party. The injured party can retain the benefits of the contract (i.e. a purchased horse) and seek damages for any loss caused by the fraud. If you’re a buyer who believes you have been the victim of fraud through an equine sale, contact Catanese & Wells today at 818-707-0407.